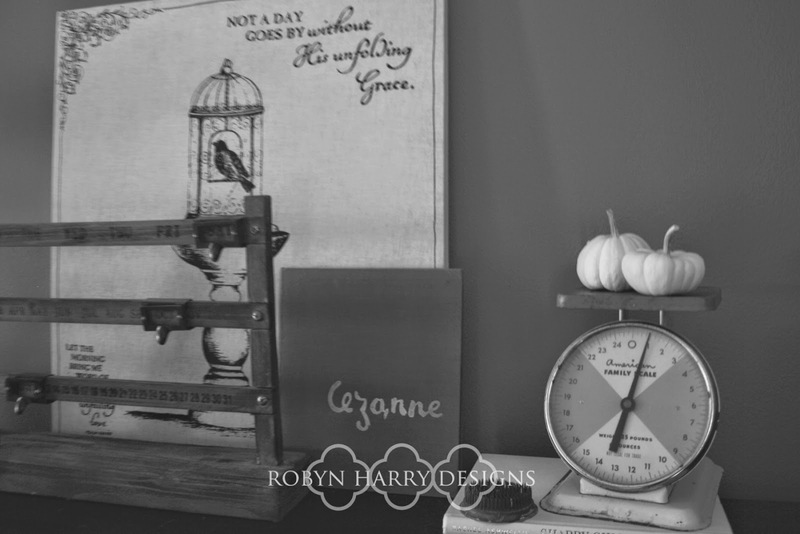 Are you tired of all the autumn quotes and decor yet? 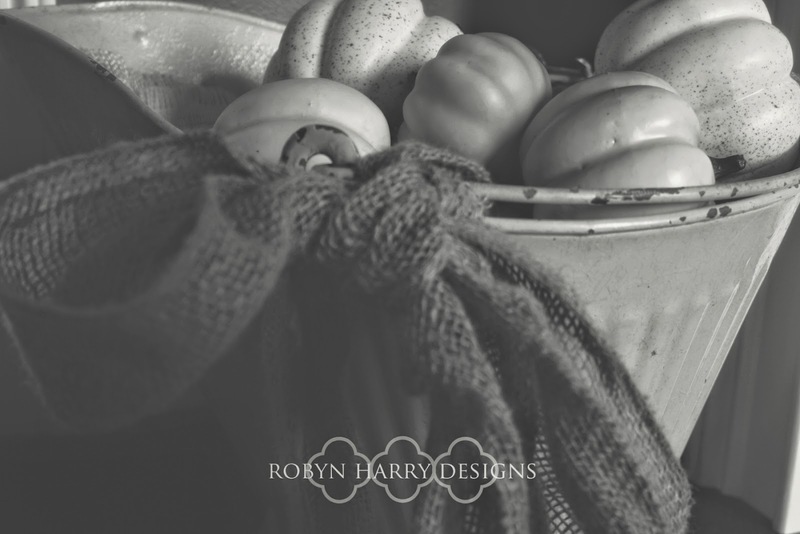 I hope not, because I have two post full of fall decor for you. 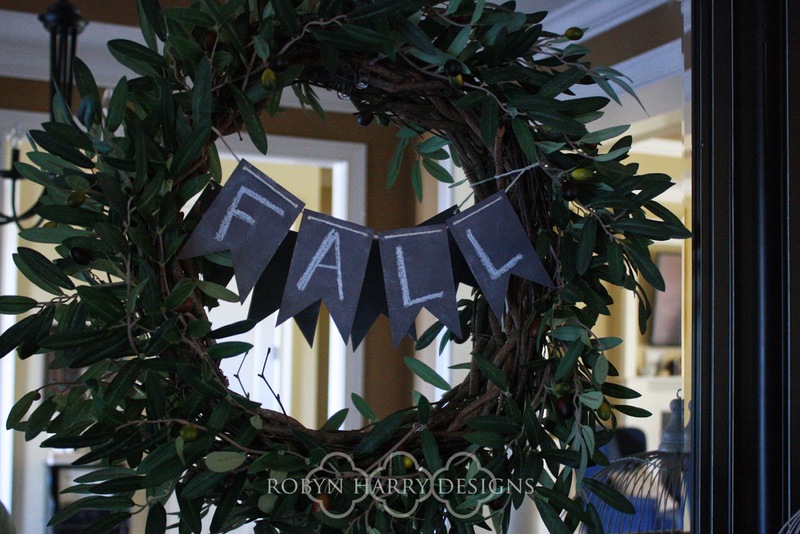 I took so many photos of our fall decor, I decided to break up the posts into two parts. 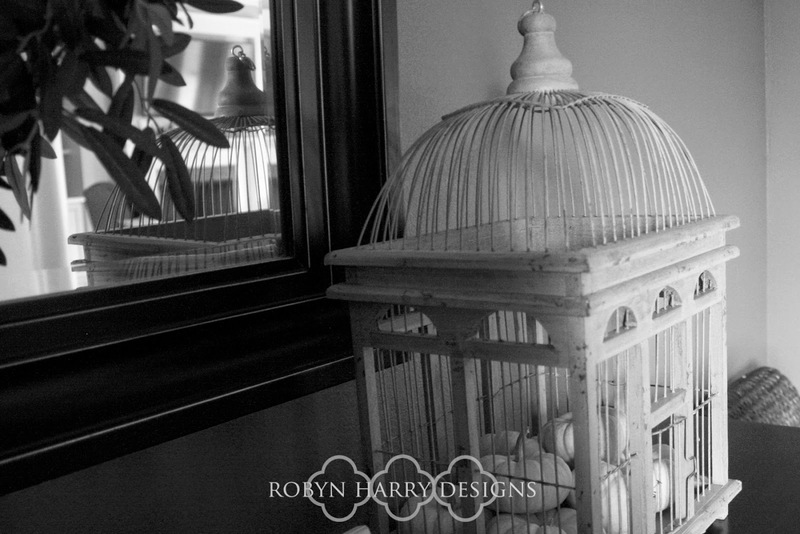 Today I am sharing our foyer and schoolroom with you. It should be pretty obvious by now that I am a huge fan of neutral colors. 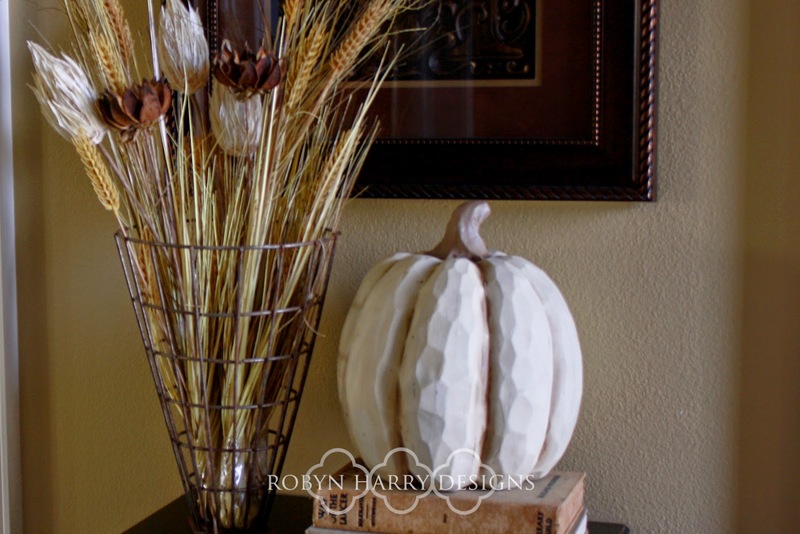 When it comes to seasonal decor, there is not much difference. 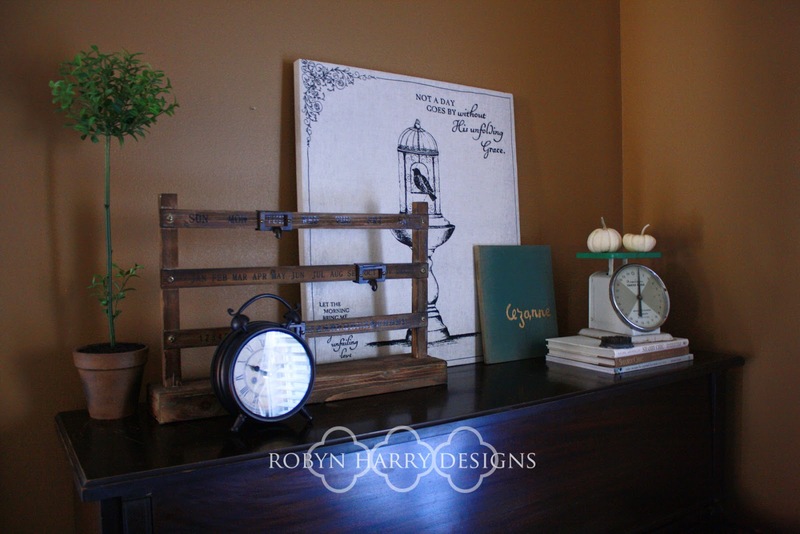 I find it much easier to incorporate temporary decor with our everyday aesthetic when the color palette is very similar. I kept our autumn accents simple and subtle. 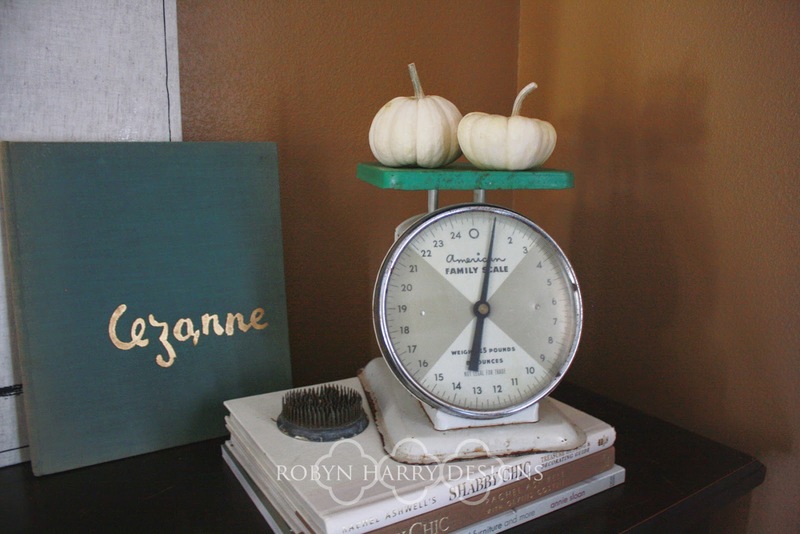 I added a lovely cream colored resin pumpkin I found at Home Goods. I also put together a bouquet of dried flowers and faux wheat in a vintage wire basket I picked up at a local collective. 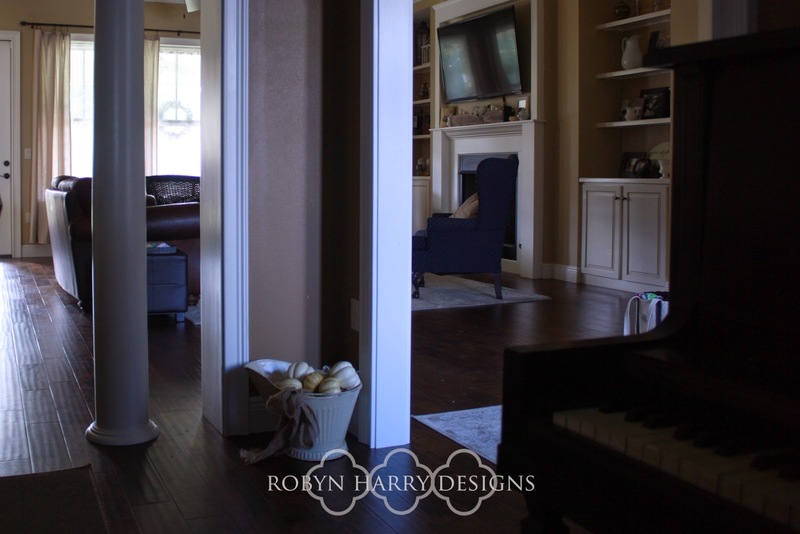 Right off of the foyer is our formal dining room. Everyone in our family knows it as the schoolroom because it is where we store and complete all of our schoolwork. 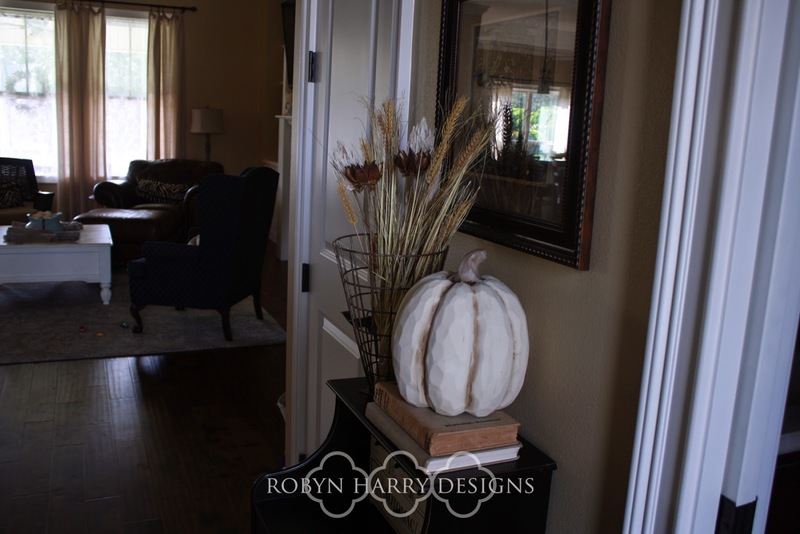 In this room and most of our common living areas, I added a mix of real and faux mini white pumpkins. The faux cream pumpkins are pretty hard to come by. I found them in various craft stores, antique malls and big box shops. If you stumble upon them, take them home with you!! As for the real mini white pumpkins, (they are called "baby boos") they are pretty impossible to find in my part of the country. I ordered them for the second time from Paula Jean's Garden. 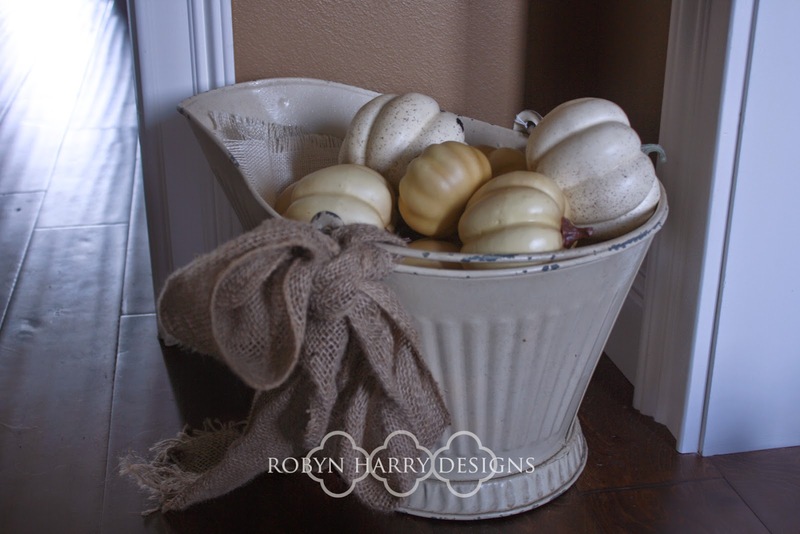 This basket filled with baby boo pumpkins is one of my favorite things in our home right now. 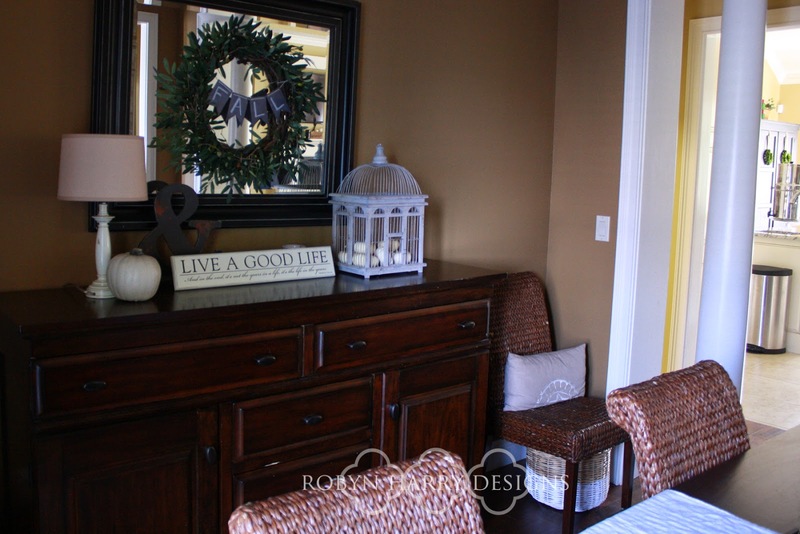 It rests on our dresser/buffet in the schoolroom. Also on our buffet is a medium sized faux white pumpkin and a "fall" chalkboard banner. 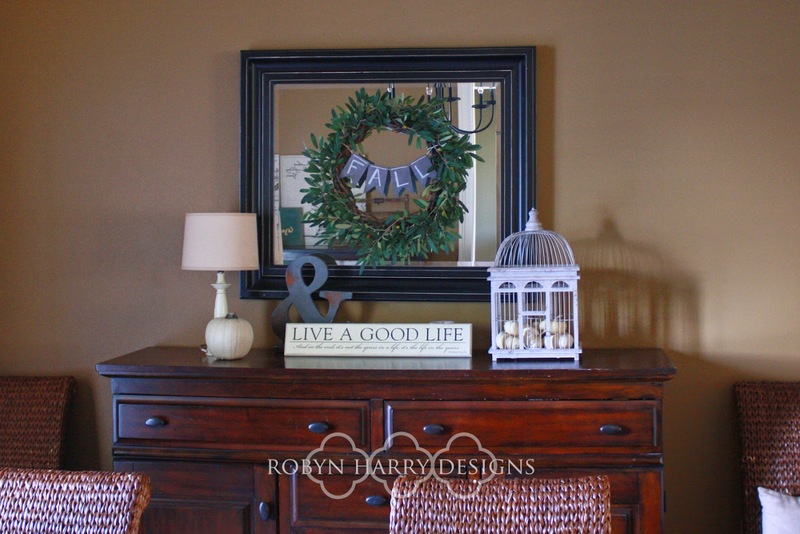 I love the look of smaller banner on a wreath and this was just perfect. So, that is it for our foyer and schoolroom. Everything is super duper simple, but so lovely. The little touches really bring me so much joy on a daily basis.